UNC IPRC has been continuously funded by CDC since the inception of the ICRC program, thirty years ago. 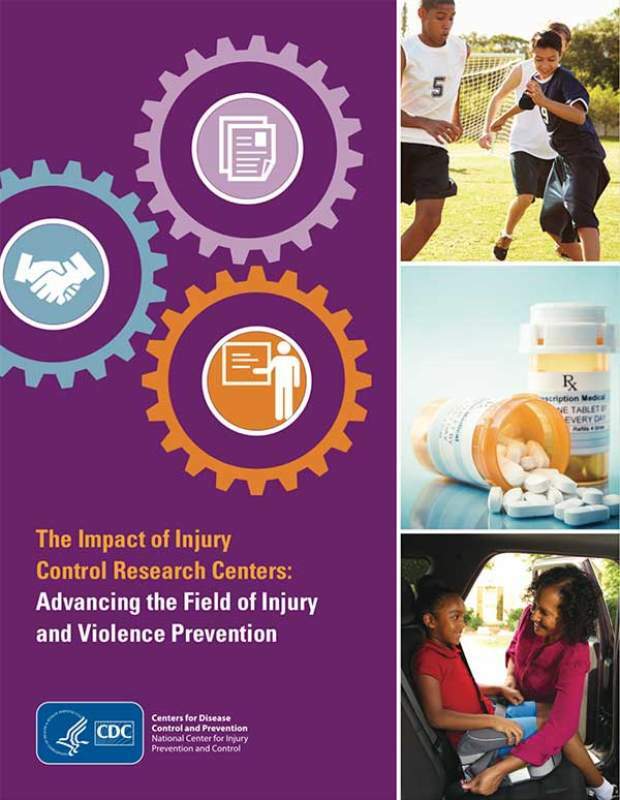 Research: ICRCs conduct and publish cutting-edge, multidisciplinary research on the causes, outcomes, and prevention of injuries and violence. 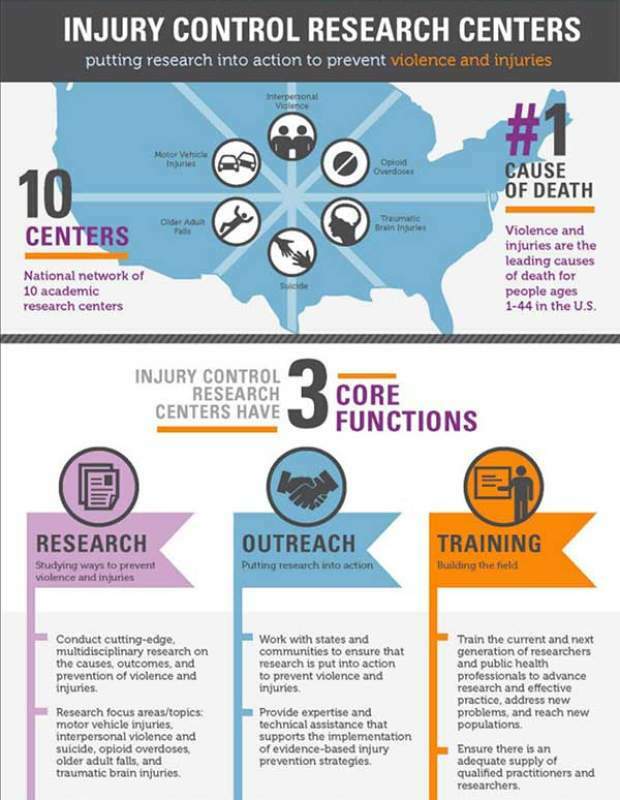 Outreach: ICRCs work with state agencies and local communities to ensure that injury/violence research is translated into prevention activities by providing technical assistance to translate and disseminate research findings, and to facilitate evidence-informed policy, practice and programs. 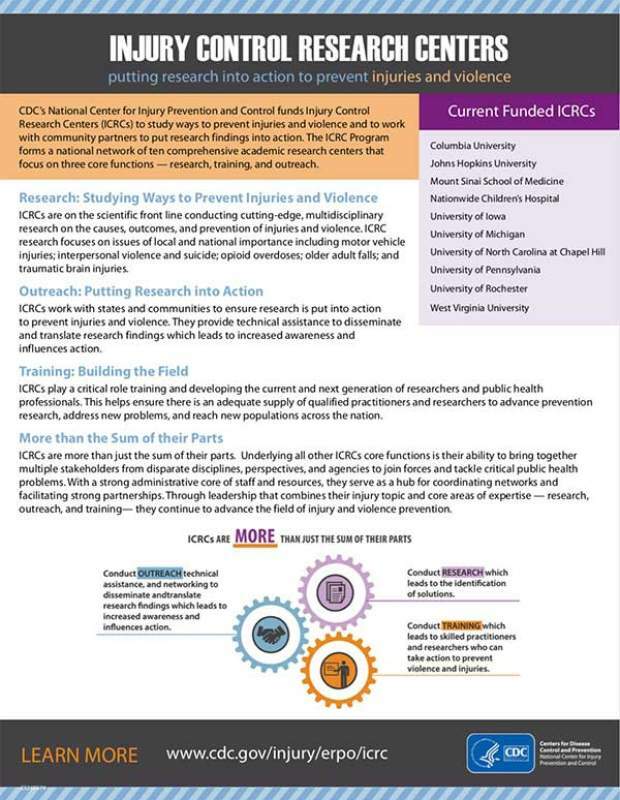 Training: ICRCs play a critical role in training and mentoring the next generation of injury/violence researchers and public health professionals. Provide technical assistance in their geographic region (for example, to other researchers; universities; medical institutions; community groups; state and local government agencies, public health agencies; and policy makers). Act as trusted sources of injury and violence prevention information. ICRCs have a high caliber of scientific and technical competency, are forward looking, innovative, provide regional leadership. ICRCs focus on holistic approaches that link prevention, intervention, translation, outreach, education, and evaluation. They implement innovative, evidence-based solutions that address important injury and/or violence prevention and control problems in a collaborative manner. ICRCs collaborate with stakeholders and community partners (including state and local health agencies and non-profit, community and non-governmental organizations) in the development and delivery of relevant interventions to improve the prevention and control of injuries and/or violence. ICRCs often collaborate with partners to develop shared programs and goals. For example, UNC IPRC has extensive collaborations with the Injury and Violence Prevention Branch of the NC Department of Health and human Services (read more on our Outreach, Training and Education page).